Beginning Tuesday, (11/21) through Saturday, (11/25) Tea’s Black Friday Event is ON with more styles than ever before. 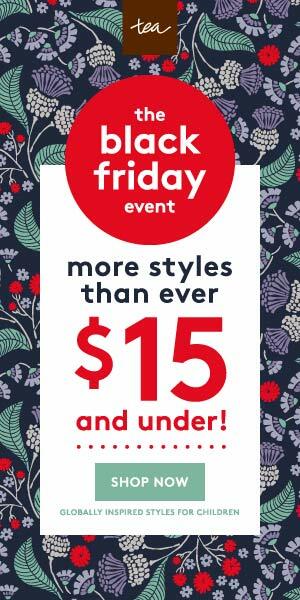 They’ve got all kinds of great outfits on sale for $15 and under! But hurry, deals this good will get gobbled up fast! Fall has arrived and what better way to celebrate than to share with you about Matthew West’s newest album, All In! I’m a huge fan of his songs, so when the opportunity came to review this album, I was most definitely all in! Matthew’s heart behind the album: Matthew wrote his new album All In with the goal of encouraging himself and others to get up off the sidelines of their faith and really live it out – to go all in in your time with God, all in with your family, all in with your community, and all in battling your fears that may hold you back from becoming who God made you to be. Along that same theme, Matthew will be launching a 6-week All in Challenge on his social media (started on 9/18), and each week Matthew will be challenging his fans to go all in in a different part of their lives. What does it look like when a heart that knows Jesus takes a step and holds nothing back? How can we go All In in the places that mean the most? As a family, we’ve been listening to these songs in our car and as a mom of two young kids, it warms my heart to hear my children singing along. Our 10 year old will request track #3 (All In) from our 6-cd changer and his favorite song from the album is Amen. One of my favorite songs is The Sound of A Life Changing. It’s hard not to love a song that references Steven Curtis Chapman, while evoking sweet memories of going to concerts with your favorite Christian artists headlining. Giveaway is closed. Congratulations Tania! You win a copy of ALL IN! One of our family’s favorite Christian clothing companies, Zoe Clothing Company, is having a Cyber Monday Sale right now. You can get a Secret Surprise Box filled with 6 shirts (designs & sizes are random) for $17.94 + tax. That’s only $2.99 per shirt and shipping is free! We love wearing their apparel and also give them away as gifts too. Get these shirts at this great price and use them as gifts this Holiday season or save them for other gifting occasions. You can also use my referral link and get 30% off all products – http://zoeclothingcompany.refr.cc/D9GWG46. ‘Tis the Season for giveaways and I have another one for you. This one is a book by Glenys Nellist, called Christmas Love Letters From God. Written for children ages four to eight, Christmas Love Letters from God cleverly combines both prose and poetry as the story of Jesus’ birth unfolds. The book includes seven stories, beginning with Isaiah’s prophecy and ending with the visit of the wise men. Following each story, the child will find his or her own letter from God, folded into a small envelope attached to the page. Each letter begins with a space in which to write the child’s name, so each one can be specially addressed to the child. Written as if God is speaking, each personalized message gives the young reader a sense of wonder as they discover anew the Christmas holiday and the birth of Jesus. A very special Bible verse, entitled God’s Perfect Promise, also accompanies each story and letter as God’s personal words of love, promise, and hope.